Wonderchild is set to be released this month. It’s a new 7 song EP from “SEDA,” an R&B/Pop & Latin artist from The Bronx, NY. The lead single for this upcoming EP has already dropped. It’s called Deserve and is available on Spotify. If there’s one thing that’s evident from this track, it’s that SEDA can actually sing quite well. 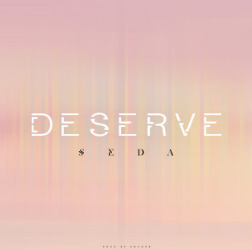 Unlike so many artists in this genre, SEDA’s voice comes through bright and clear, without assistance from a bunch of vocal processing and autotune type effects. You just can’t fake it with this style of singing. If you’ve got it, it’s apparent immediately, as it is on this recording. Musically, the song is very minimalistic and ambient. It’s SEDA’s emotive vocals amidst an echoey, dreamlike mix of piano and light synths. This isn’t a club jam. It’s more like music for a romantic, candlelit dinner, with the song invoking a soothing atmosphere. You can tell that someone put their heart into making this recording.